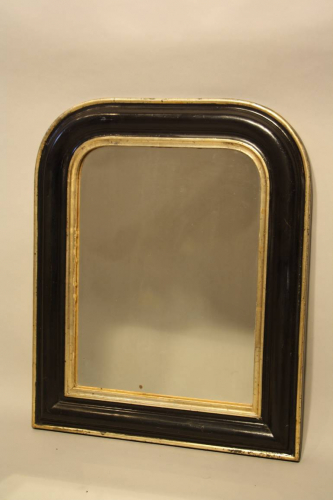 A small unadorned but classically elegant simple framed black lacquer and gold archtop mirror. The gold is a soft lemony colour bordering the mirror plate and outer edge of the frame. Lovely original condition. French Napoleon III c1880.